Domain companies en route to Austin later this week. Several domain name companies are heading to Austin later this week for the start of the annual South by Southwest Music, Film and Interactive Festival. The Interactive portion of the event attracted over 10,000 attendees last year. Many stay in town for the music festival, which kicks off in the middle of next week. Although the interactive festival is big, music is a big draw: over 2,000 musical acts will play at 80 official venues next week, and many more unofficially. DirectNIC – domain registrar will have a booth at the Interactive trade show. Swing by booth 932 to say ‘hi’. 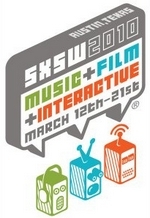 If you’re with a domain name company and heading to Austin for SXSW, feel free to leave a comment.